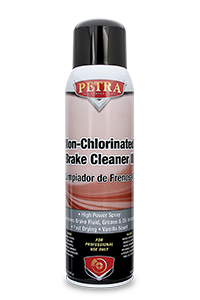 Petra Non-Chlorinated Brake Cleaner is a blend of fast acting, clean drying solvents that quickly remove grease, oil, brake and hydraulic fluid and other contaminants. 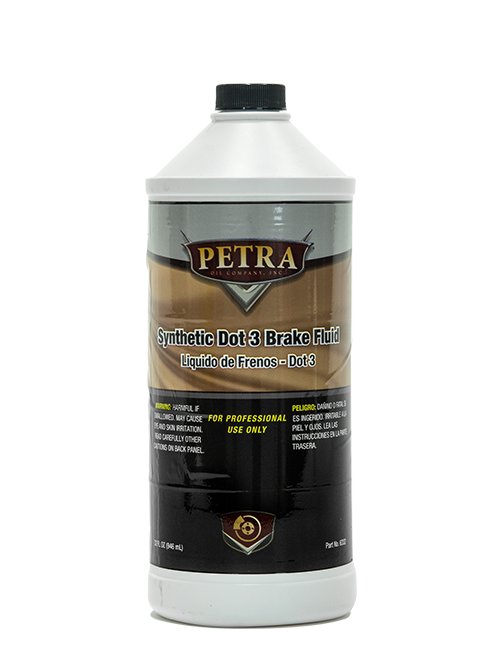 The aerosol spray helps dislodge surface dirt and oil. The special formulation works effectively dries fast and evaporates completely. 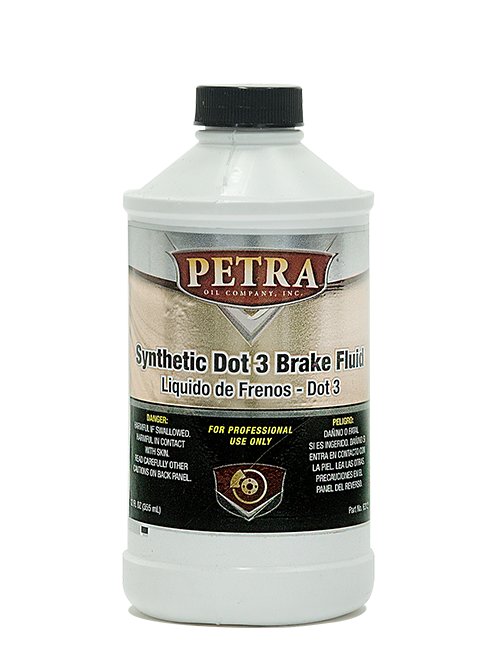 For use on brake parts, linings, drums, rotors, calipers, springs, backing plates, cylinders, brake shoes, disc brake pads, clutches and CV joints. Works without disassembly. 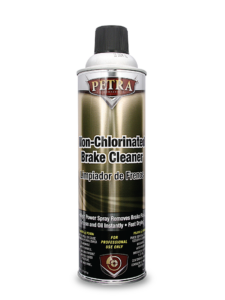 It is an all around degreaser and may also be used on clutch discs and pressure plates, electric motors, switches and contacts. Formulated for California use. 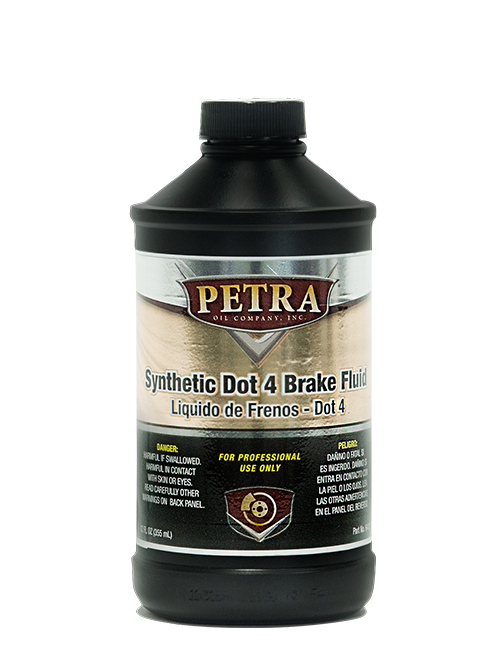 Unique formulation that helps in preventing and lowering of noise after new brake pads are installed on vehicle. 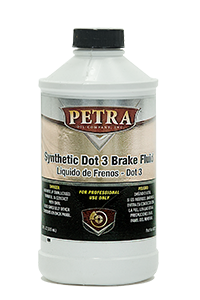 The unique formulation will fill in pore of pads to eliminate or reduce noise made by the breaking in of newly installed brake pads. 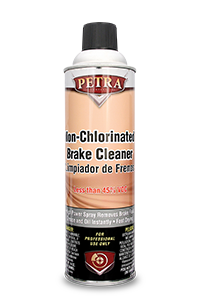 Petra Non-Chlorinated Brake Cleaner is a blend of fast acting, clean drying solvents that quickly remove grease, oil, brake and hydraulic fluid and other contaminants. 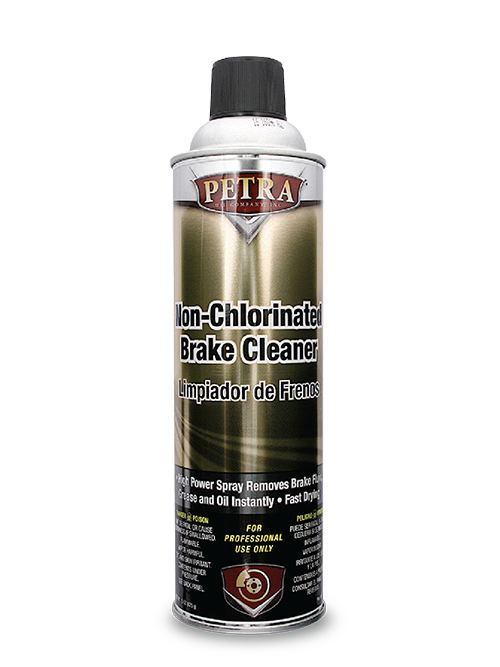 Petra Non-Chlorinated Brake Cleaner exhibits high solvency for brake fluid, oil, grease and dust beyond the capacity of regular petroleum solvents. 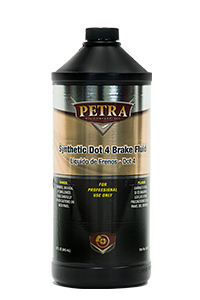 The aerosol spray helps dislodge surface dirt and oil. The special formulation works effectively, dries fast and evaporates completely. For use on brake parts, linings, drums, rotors, calipers, springs, backing plates, cylinders, brake shoes, disc brake pads, clutches and CV joints. Works without disassembly. It is an all around degreaser and may also be used on clutch discs and pressure plates, electric motors, switches and contacts. 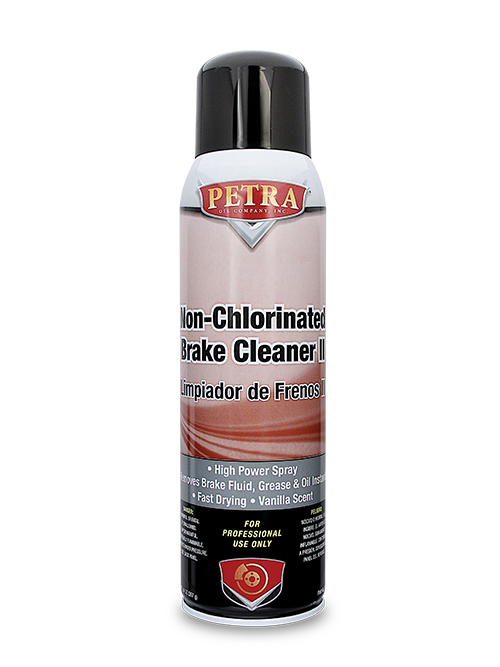 Petra Non-Chlorinated Brake Cleaner is a blend of high power, fast-acting, clean-drying solvents that quickly remove grease, oil, brake and hydraulic fluid and other contaminants. 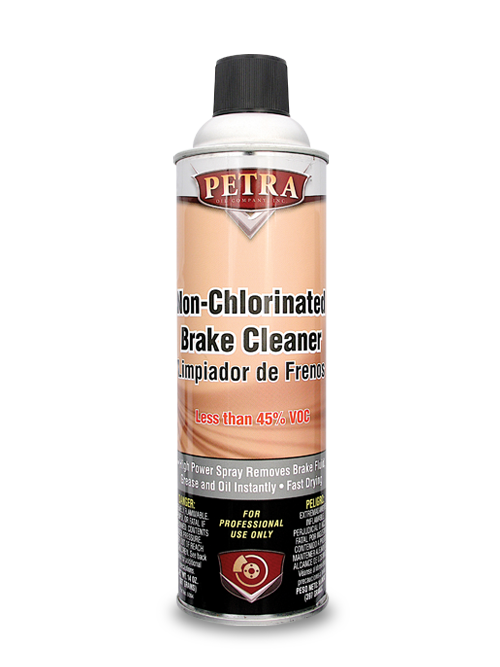 Petra Non-Chlorinated Brake Cleaner exhibits high solvency for brake fluid, oil, grease and dust beyond the capacity of regular petroleum solvents. 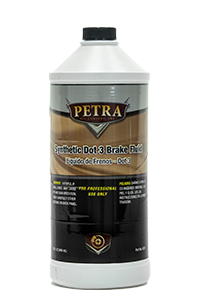 The aerosol spray helps dislodge surface dirt and oil. The special formulation works effectively, dries fast and evaporates completely. 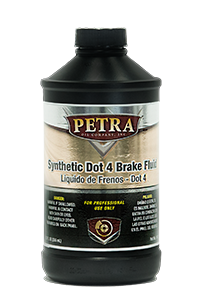 For use on brake parts, linings, drums, rotors, calipers, springs, backing plates, cylinders, brake shoes, disc brake pads, clutches and CV joints. Works without disassembly. It is an all around degreaser and may also be used on clutch discs and pressure plates, electric motors, switches and contacts, with vanilla scent. 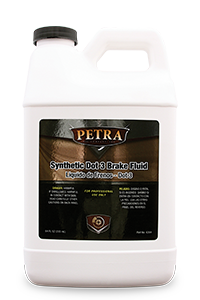 Petra Synthetic Dot 3 Brake Fluid is a glycol based hydraulic brake fluid which meets Department of Transportation (Dot 3) requirements for automotive hydraulic brake fluid as well as Motor Vehicle Brake Fluid standard SAE J-1703. 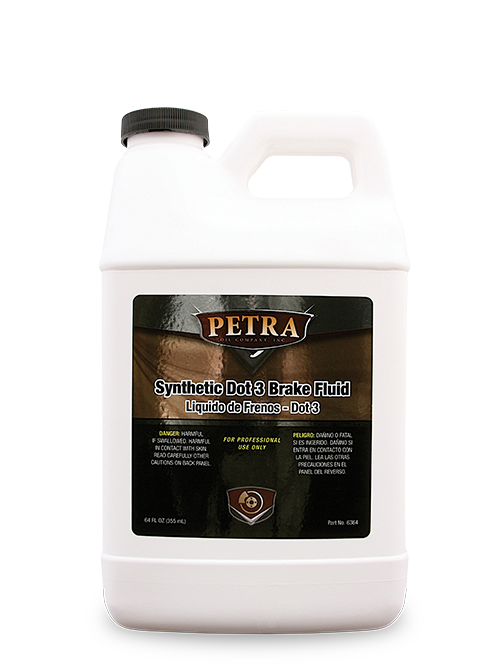 Petra Synthetic Dot 3 Brake Fluid is recommended for use in the hydraulic brake system of any motor vehicle where Dot 3 hydraulic brake fluid requirements are specified. 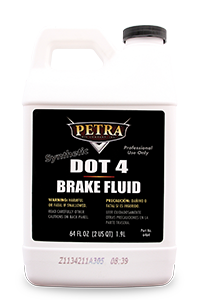 Petra Synthetic Dot 4 Brake Fluid is formulated as a high quality glycol ether fluid. 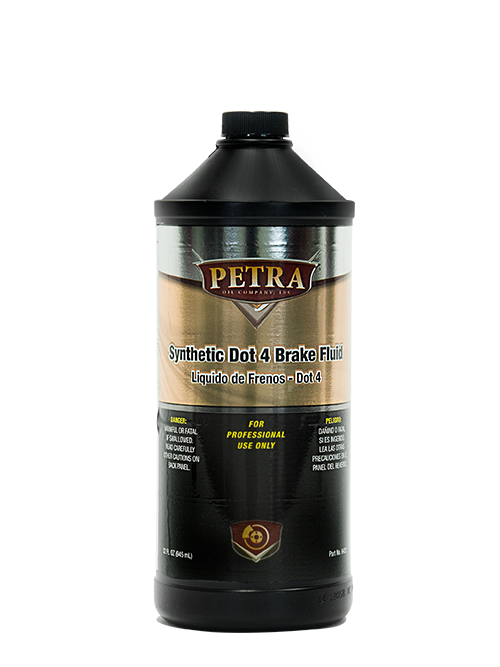 It is engineered for all disc and drum type brake systems which call for Dot 4 and Dot 3 performance. This premium quality product exceeds the requirements of Chrysler and General Motors. 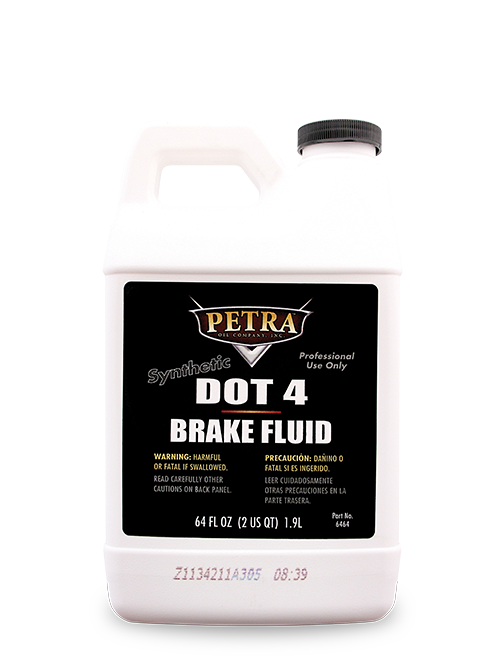 etra Synthetic Dot 4 Brake Fluid is especially suitable for modern vehicles and the thermal demands put on brake fluids – increasing operating temperatures due to front wheel drive and aerodynamic body designs which reduce airflow.